and start your new year on a bright note. This special offer ends TONIGHT at Midnight! 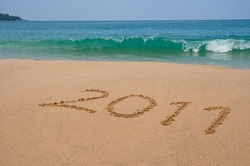 How can JLH help you create and be your best in 2011? What will it take to make your dreams and aspirations come true in the new year? Start Your New Year Right and Make Your Dreams Come True! Click on the following link to take advantage of this special limited time offer. This special offer is only available until Midnight TONIGHT! 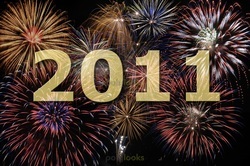 Celebrate the New Year by getting coaching to help you attain what you really want in 2011! Sign Up NOW! Use the Order Form Below! Start your 2011 Coaching TODAY! Three other JLH coaching options include: "Spur-of-the-Moment" or On-Demand 15-minute laser coaching sessions, individual (one-time) 30-minute coaching sessions or a package of 2-3 individual coaching sessions. The difference between these three coaching options is just timing and how much coaching you are interested in utilizing toward a particular topic. OPTION 3 - On-Demand 15-Minute Laser Coaching Sessions. - Includes: (1) 15 minute laser coaching session that will be completed as soon as realistically possible for both parties. OPTION 4 - Individual (one-time) 30-Minute Coaching Sessions. JLH clients often use these sessions as a follow-up after completing a longer 3-month or 6-month engagement or if they have a single issue they'd like to try to get their hands around in one single session. OPTION 5 - Package of 2 or 3 Individual Coaching Sessions. This is just an extension of OPTION 4 to give JLH clients more coaching time to address a particular situation. This special offer is available TODAY. All you need to do is sign up through this website before Midnight Tonight. Light Up Your Personal 2011 Sky with Your Own Fireworks! Sign Up NOW with the Order Form above!